Know the difference between a club DJ and a Professional Wedding DJ. Congratulations you have just been asked to spend the rest of your life with the one you love. We would like to help show that love by creating a loving atmosphere for your guests and you at your wedding Venue. We understand you are torn in several directions now but this will be the most important thing you read concerning weddings. A professional club DJ will play all the music you want, non stop. Will send you a wedding planner so they will know all the details about your special day. Will be available for you prior to the wedding to make any changes. A professional wedding DJ will entertain your guests during cocktail hour while you are being photographed. 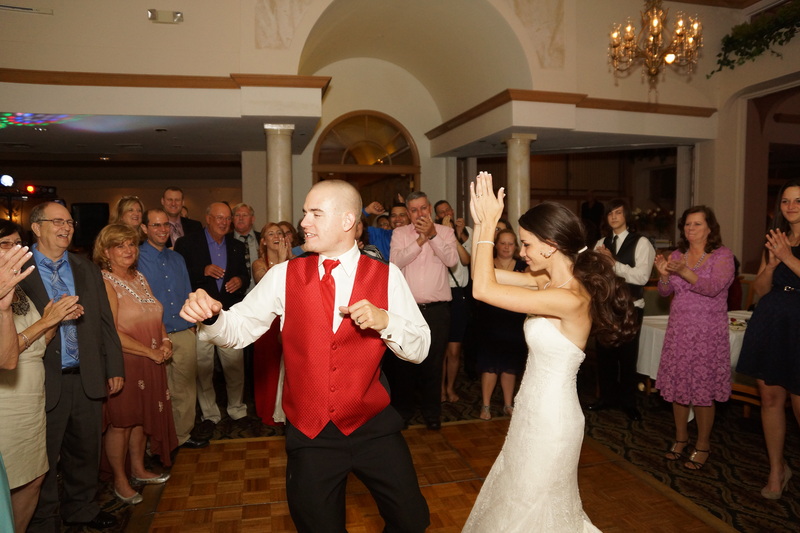 A professional wedding DJ will guide you into your first dance. A professional wedding DJ will announce dinner, Toast, Cake cutting, garter toss and bouquet toss and any other traditions you may have on top of making sure all guests are inside the venue. Professional Wedding Photographer to capture. A professional wedding DJ from National Wedding Photography will make your wedding dream come true.